Sometimes you just cannot find that perfect pattern. I wanted a cowl that had some texture, no lace, and could still be feminine. This is a perfect last minute gift. Hint: I found that by placing markers at each set of cables I could watch TV and knit at a really fast pace. 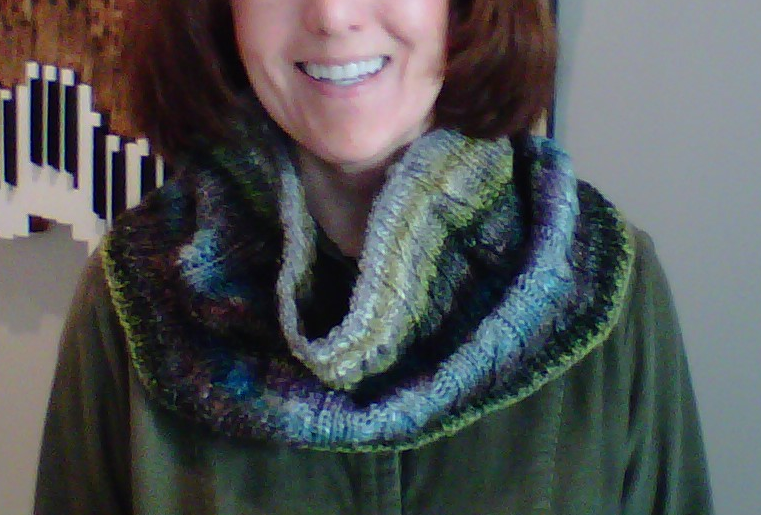 Great looking cowl – thanks for the pattern. I live in Colorado, so I can empathize with the story about being without power on cold days. I’m really intrigued about the “Dragon Lady” tag – I’ve been called scary myself in the corporate world.